Bitcoin’s (BTC) close today will likely decide the short-term trend in prices. The leading cryptocurrency snapped a three-day losing streak on Thursday as the 26 percent sell-off witnessed in the last three weeks was looking overstretched. What’s more important is that BTC traded yesterday within the high and low range of the previous day, indicating the bears have likely run out of steam and the bulls are still reluctant to enter the market at these levels. It seems safe to say that the bitcoin market has become indecisive in the last 24 hours. However, a stronger corrective rally could be seen over the weekend if prices find acceptance above the previous day’s high of $6,628, though it won’t be an easy task. The cryptocurrency is currently trading at $6,350 on Bitfinex – down 4 percent from the highs seen yesterday. As seen in the above chart, BTC created an inside-day candle yesterday, signaling indecision among both bulls and the bears. A close (as per UTC) above $6,628 (previous day’s high) would confirm a short-term bear-to-bull trend change. On the other hand, if prices close today below $6,183 (Thursday’s low), then BTC could resume the sell-off toward the June low of $5,755. As of now, this scenario appears more likely as the 5-day and 10-day moving averages (MA) are steeply sloping south, indicating strong bearish pressure. As the above chart shows, BTC has created a bear flag – a bearish continuation pattern – which indicates the sell-off from the high of $7,130 (pole high) would resume if prices take out the flag support (lower end) of $6,240. A bear flag breakdown, if confirmed, would open the doors to $5,240 (target as per the measured height method), although the target looks far-fetched as of now. That said, it could easily yield a drop to the June low of $5,755. The relative strength index (RSI) has breached the rising trendline in favor of the bears. Hence, the probability of BTC witnessing a bear flag breakdown in the next few hours is high. Thursday’s inside-day candle has neutralized the immediate bearish outlook and indicates indecision in the marketplace. 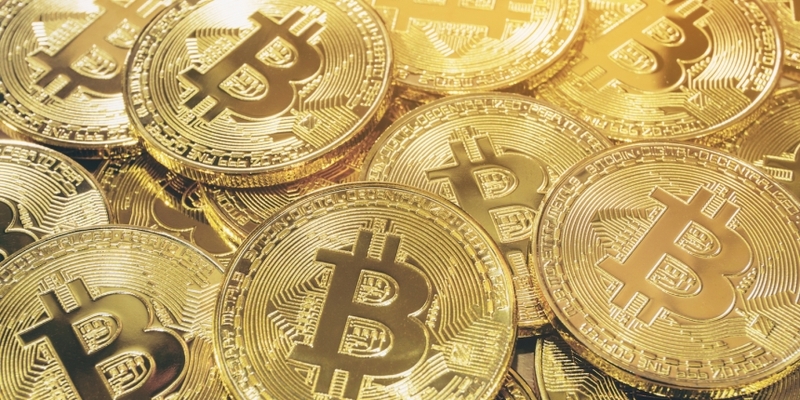 A short-term bull reversal would be confirmed if BTC scales the previous day’s high of $6,628. A bear flag breakdown (drop below $6,240) would strengthen the odds of BTC finding acceptance below $6,183 (previous day’s low) and falling towards $5,755 (June low) over the next few days.